Only five weeks old... and look where we've been! 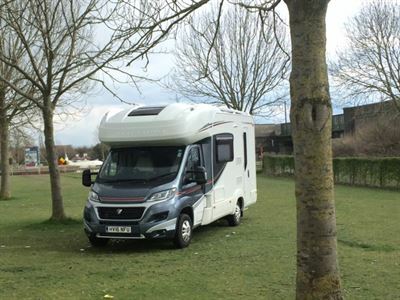 Tony & Chris Bennett only picked up their Autotrail Imala 620 five weeks ago, but it has already been to Parley in the New Forest, the Dolphin show at the Royal Victoria Country Park, Totnes in Devon....and here it is in Diksmuide in Belgium! We are delighted to hear you are enjoying your new van so much and getting out and about in it!